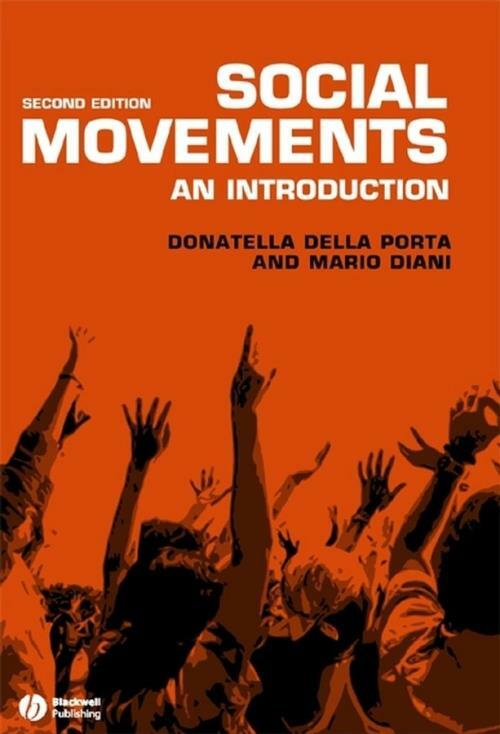 Social Movements is a comprehensive introduction and critical analysis of collective action in society today. In the latter part of the last century, social movements became a permanent feature of modern democracies. The students’ and workers’ protests of the 1960s have been followed by movements focusing on women’s rights, ethnic identities, peace and environmental issues. This book draws on research and empirical work across the social sciences to address the key questions in this international field. In this new edition, the authors have updated all chapters with the most recent literature, and expanded on topics such as individual motivations, new media, public policies, and governance. The book has also been redesigned to a more user–friendly format. More than ever, Social Movements is the ideal introduction for students of social movements within social and political science. 1. The Study of Social Movements: Recurring Questions, (Partially) Changing Answers. 1.1. Four Core Questions for Social Movement Analysis. 1.1.1. Is social change creating the conditions for the emergence of new movements? 1.1.2. How do we define issues as worthy objects, and actors as worthy subjects of collective action? 1.1.3. How is collective action possible? 1.1.4. What determines the forms and intensity of collective action? 1.1.5. Are these questions specific of social movement analysis? 1.2. What is Distinctive of Social Movements? 1.2.1. The concept of social movement. 1.2.2. Conflictual and consensual collective action. 1.2.3. Social movements, events, and coalitions. 1.2.4. Social movements and organizational processes. 1.2.5. Social movements and protest. 2. Social Changes and Social Movements. 2.1 Social Structure, Political Cleavages and Collective Action. 2.1.1 Economic change, social fragmentation and movements. 2.1.2. Economic globalization and social conflict. 2.2 States, markets, and social movements. 2.2.1. Territorial boundaries and social conflicts: the transnationalization of protest. 2.2.2. State and classes: the conflicts around the welfare state. 2.3 Knowledge, Culture and Conflicts. 2.3.3. Between the global and the local. 2.4. Structural Transformations, New Conflicts, New Classes. 2.4.2. New middle classes for new social movements? 3. The Symbolic Dimension of Collective Action. 3.1. Culture and Action: The Role of Values. 3.2. Culture and Action: The Cognitive Perspective. 3.2.1. Collective action as cognitive praxis. 3.2.2. Interpretative frames and ideology. 3.2.3. Sense making activities: linking values and frames. 4. Collective Action and Identity. 4.1 How Does Identity Work? 4.3 Does Identity Facilitate Participation? 4.4 How Is Identity Generated and Reproduced? 4.4.1 Self– and hetero–definitions of identity. 4.4.2 Production of identity: symbols, practices, rituals. 4.4.3 Identity and the political process. 5. Individuals, networks, and participation. 5.1. Why do People Get Involved in Collective Action? The Role of Networks. 5.2. Do Networks Always Matter? 5.4. Individual participation, movement subcultures, and virtual networks. 6. Social Movements and Organizations. 6.1. Organizational Dilemmas in Social Movements. 6.1.1. Mobilizing people or resources? 6.1.2. Hierarchical or horizontal structures? 6.1.3. Challengers or ‘service providers’? 6.2. Types of social movement organizations. 6.3. How do social movement organizations change? 6.3.2. Institutional factors and organizational change. 6.3.3. Organizational cultures and organizational change. 6.3.4. Modernization, technological innovation, and organizational change. 6.4. From movement organizations to social movement networks. 7. Action Forms, Repertoires and Cycles of Protest. 7.3. The Logics and Forms of Protest. 7.3.1 The logic of numbers. 7.3.2 The logic of damage. 7.3.3 The logic of bearing witness. 7.4 Strategic Options and Protest. 7.5 Factors Influencing Repertoire Choice. 7.6 The Cross–national Diffusion of Protest. 7.7. Cycles of Protest, Protest Wave and Protest Campaigns. 8. The Policing of Protest and Political Opportunities for Social Movements. 8.1 The Policing of Protest. 8.2. Political Institutions and Social Movements. 8.3. Prevailing Strategies and Social Movements. 8.4. Allies, Opponents and Social Movements. 8.4.1. Social movements in a multiorganizational field. 8.4.2. Social movements and parties. 8.5. Discursive Opportunity and the Media System. 9. Social Movements and Democracy. 9.1 Social Movement Strategies and Their Effects. 9.2 Changes in Public Policy. 9.3 Social Movements and Procedural Changes. 9.4. Social Movement and Democratic Theory. 9.5. Social movements and democratization.